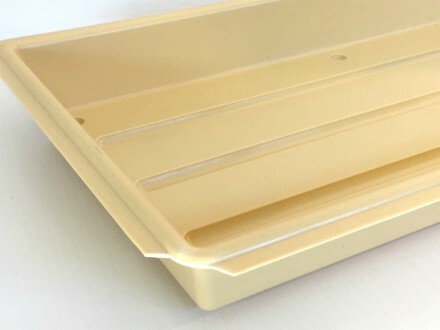 Click the button below to add the Grower Tray 22"x 11" (tan) - chipped corner to your wish list. Grower Trays Damaged in Shipping - 40% off!! Trays are chipped in one corner - in perfect condition otherwise. These are our standard heavy duty trays.